Australian Hiker | Day -78 Success! Two weeks ago I posted that although I had identified two particular models of shoes that were capable of doing 25km+/day/over multiple days and not giving me foot issues only to discover that there was a model upgrade on one pair, and a model changeover on the other. I can now report that I am sorted on that front having purchased two pairs of Merrell Moab FST’s. 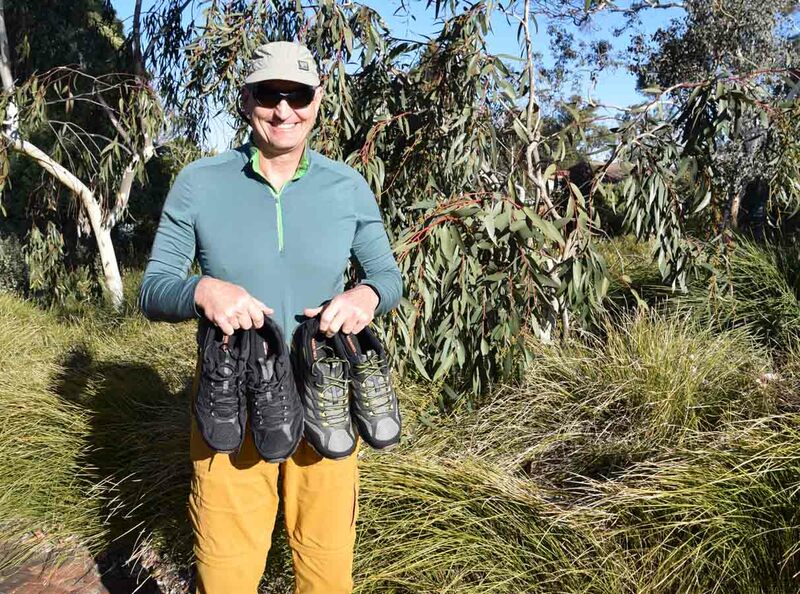 I would like to take the the opportunity here to thanks Ray’s Outdoors in Canberra, and Merrell Australia for coming to the rescue. I had originally placed an order for a different model of shoe having resigned myself to not getting exactly what I wanted with the staff at Ray’s. They discovered that the shoe I had ordered was also not available and even though they were not able to help me out directly they were very proactive in talking to Merrill Australia who managed to locate two pairs of shoes for me at one of their outlet stores in Sydney. Even though Ray’s gained nothing out of this sale they went the extra mile and provided excellent customer service to help me out which is one of the reasons that I shop there. I used to work in retail and teach sales in the past so when I see such excellent customer service that goes above an beyond what you would expect I think that it should be recognised. We are going through a period of upheaval in the outdoor industry with store closures and merges and for me this excellent level of customer service is the main reason that I still shop at a bricks and mortar retail stores and don’t do all my purchases online. Well done Ray’s Canberra, and well done Merrell Australia. I have now learnt my lesson and given the ongoing issue that I have in sourcing footwear due to my shoe size (I usually have to do a special order), once I identify a shoe for long distance hiking in the future I will now purchase multiple pairs! Success! I have managed to locate footwear for my Bibbulmun Track thru hike in August. Yey!! !